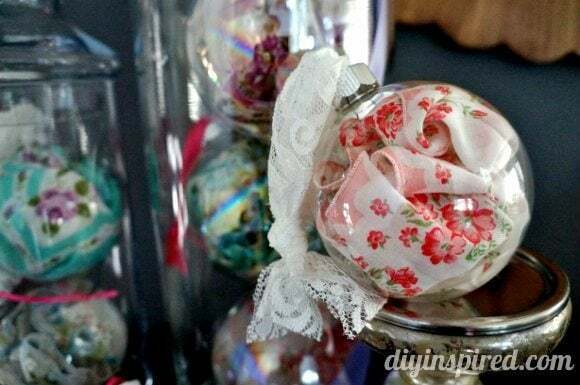 One of my favorite types of Christmas crafts is decorating glass ornaments. 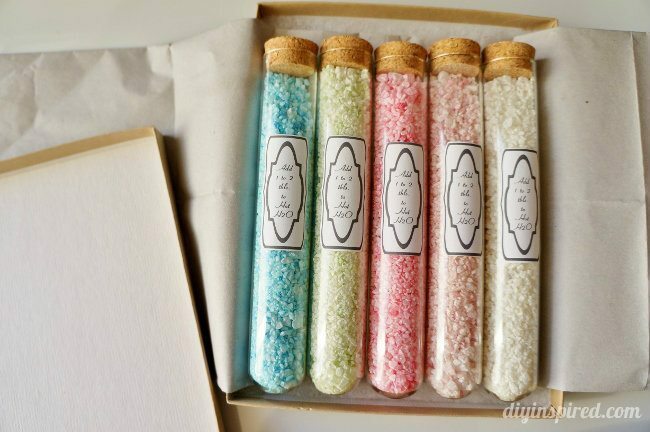 You can fill them, paint them, and glitter them and they make great handmade gifts as well. 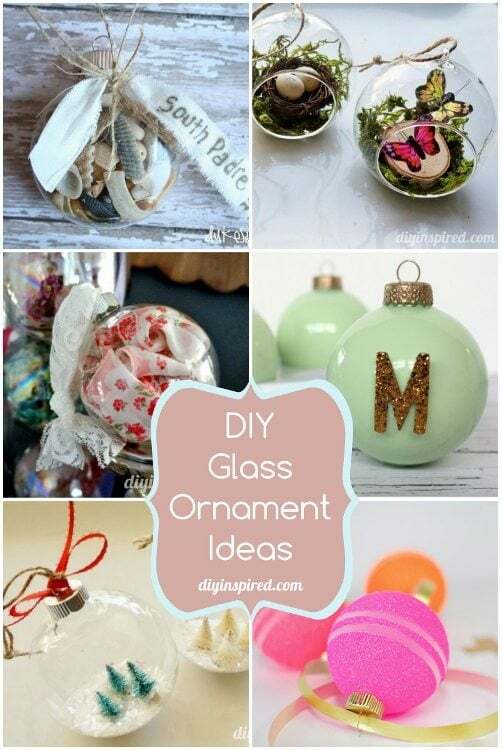 I thought I’d put together a roundup of DIY glass ornament ideas from some of my favorite Bloggers as well as a few ornaments I have made as well. 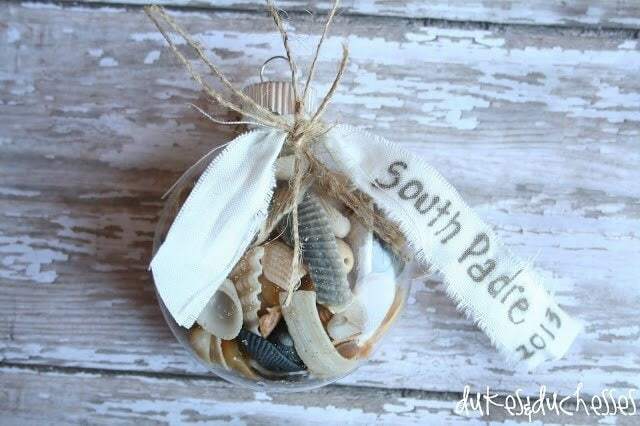 Randy made this beachy memory ornament to remember her family vacation. Possibly my favorite ornaments I’ve ever made. 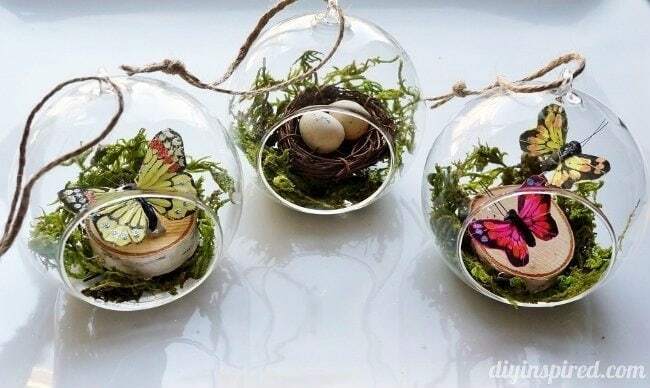 These rustic woodland ornaments are delicate, beautiful, and fun to make. 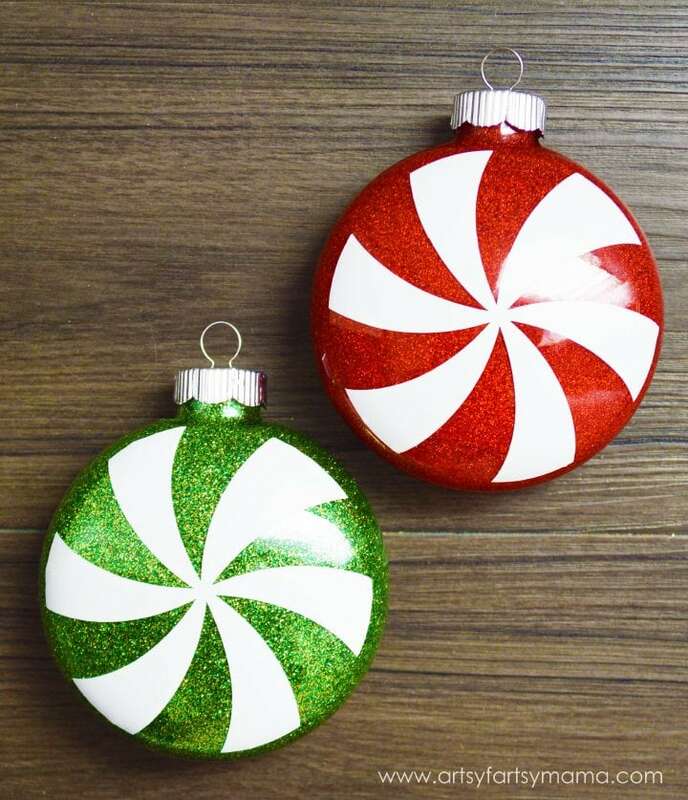 Lindsay made these cool glass peppermint ornaments with the help of her Cricut Explore. 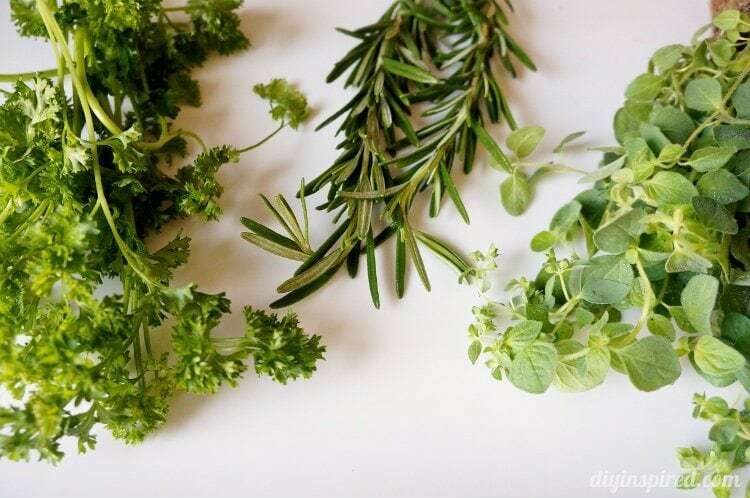 These were popular because I was able to figure out an easy way to make them! 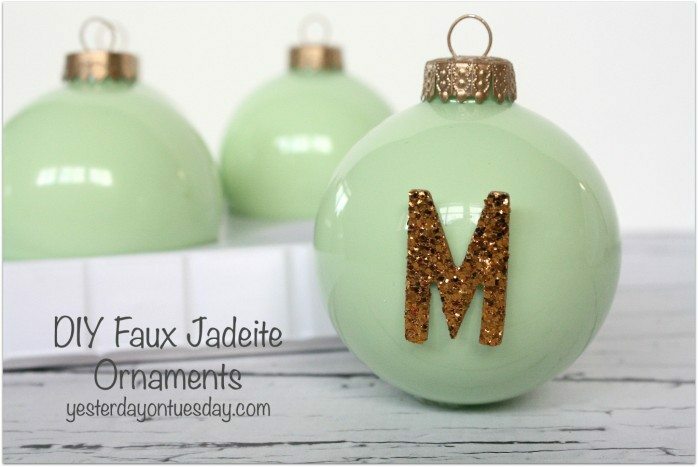 Malia made these super cool faux jadeite ornaments and added a glitter monogram. 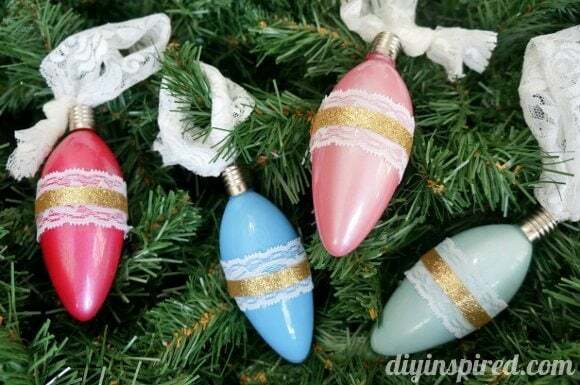 I decided to have a tree dedicated to vintage inspired ornaments. 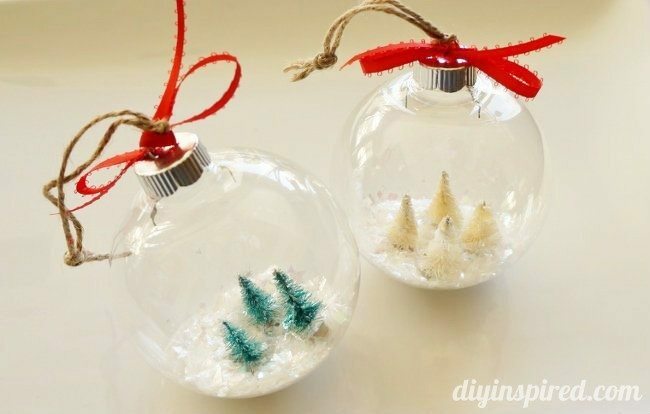 This is a great 15 minute Christmas craft. 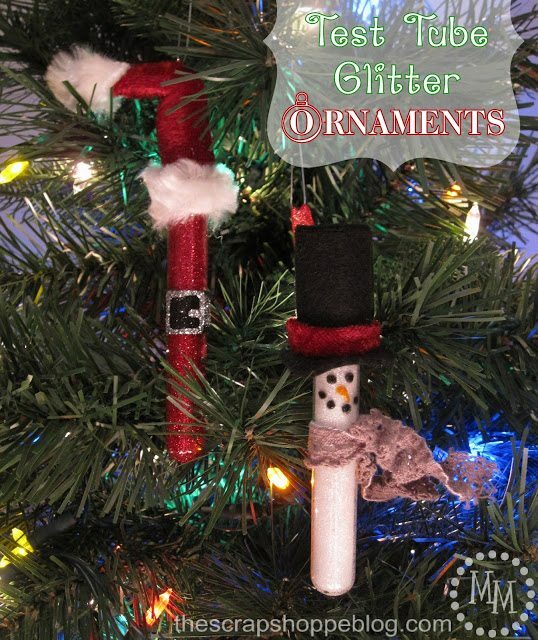 How adorable are these Santa and Snowman glittered test tube ornaments? After collecting several handkerchiefs from my antique shopping sprees. 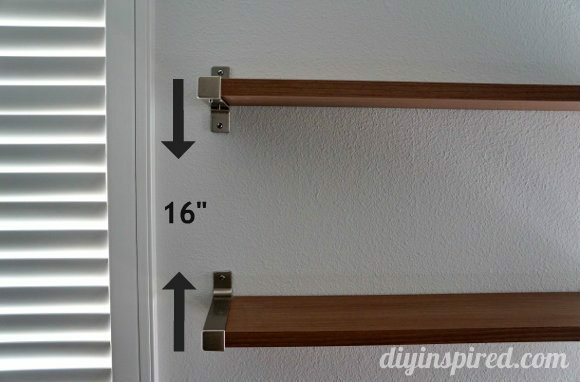 These ornaments are a great way to preserve and display them. These are so pretty. 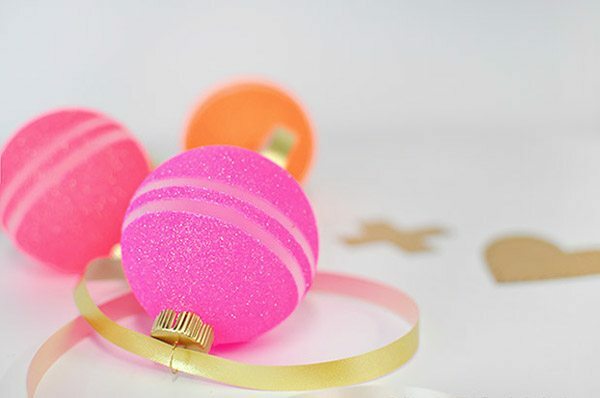 Amy made these for Valentine’s Day, but I would love these beauties on my Christmas tree!